After the 9:00 a.m. Mass, our priests and parishioners have the opportunity to meet and visit with each other while enjoying some refreshments and baked goods. Volunteers set up and serve refreshments. 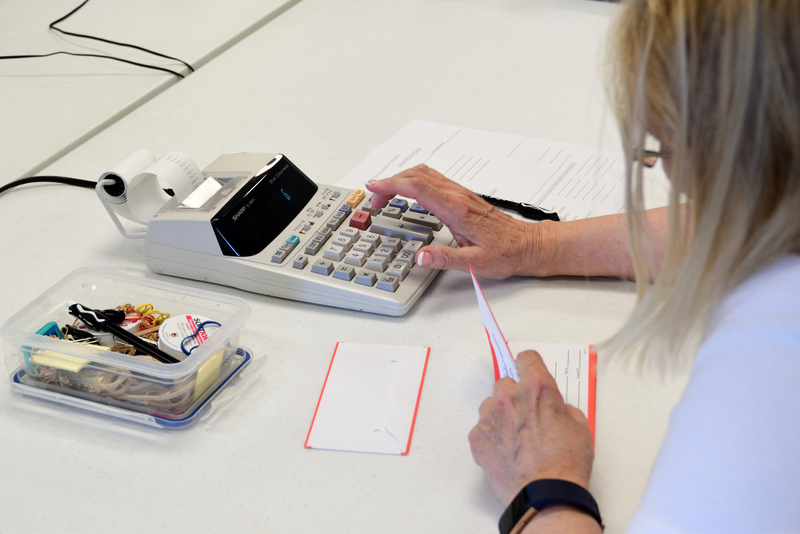 The Offertory Accounting Group is made up of approximately 20 people appointed by the Pastor to count and process all offertory and special collections. The group operates according to established procedures approved by the Diocese of Orlando. Volunteers for this ministry must be cleared for safe environment and finger printing. Volunteers answer phones, greet visitors, and perform a variety of helpful tasks in the office and may be called upon to help on special projects occasionally. 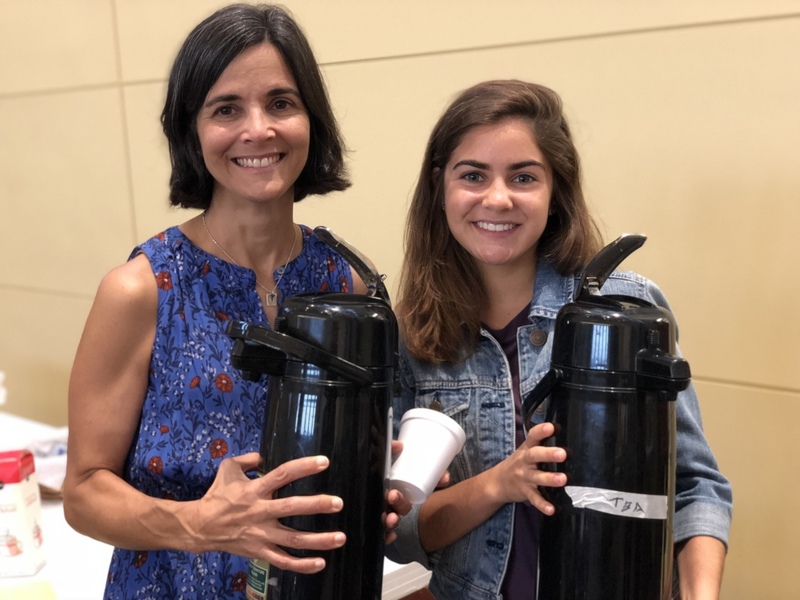 The Registration and Welcome ministry team ensures newly registered parishioners feel at home and are welcomed to the St. John's parish family by organizing regularly scheduled "Welcome Dinners" for new parishioners, and serving as facilitators for new parishioners who request information. 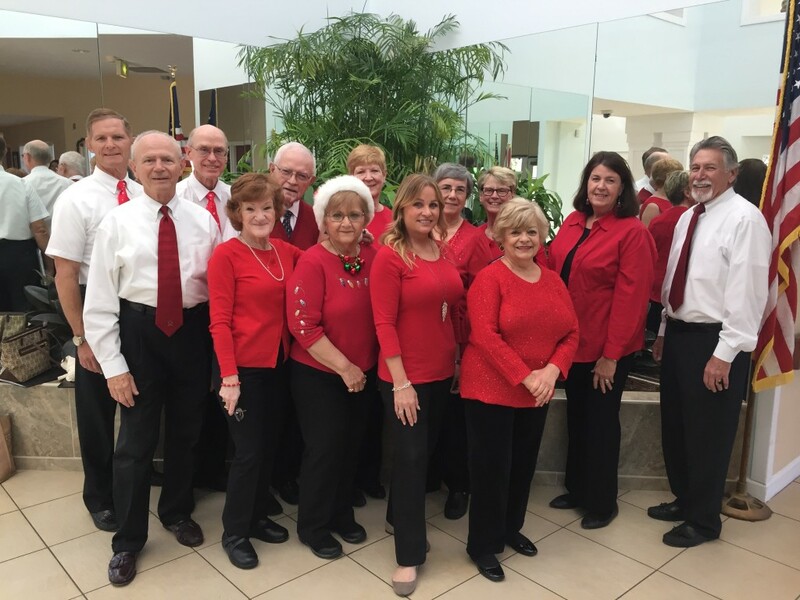 The Rejoice Choir consists of a small group of singers dedicated to the mission of “bringing the joy of Christ through singing to those who cannot come to us” and has become a treasure for those in Autumn House, Town Square and Viera Rehabilitation. 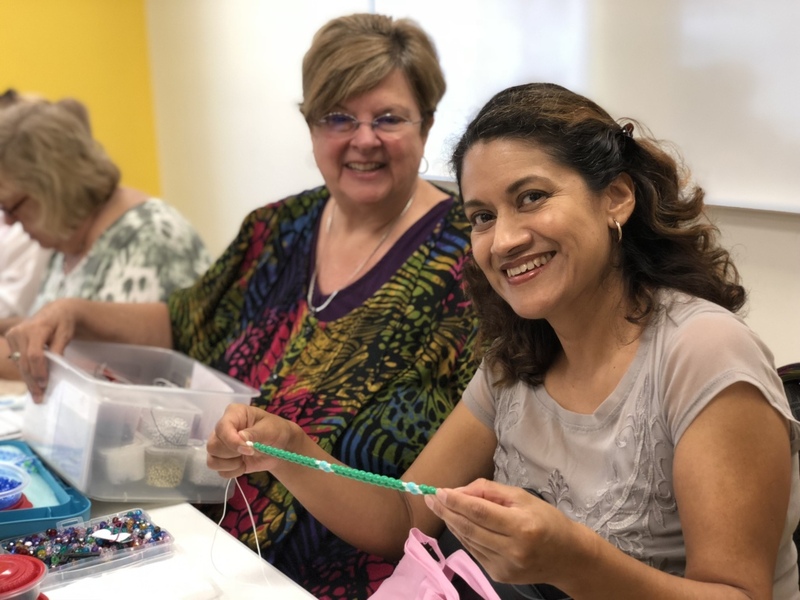 Rosary Makers meet each week at the Parish Life Center to cord and wire rosaries for the missions, as well as for friends and relatives. Most of the work, however, is done at home. Instructions and a beginner's kit are provided. The Parish Life Committee has been the point of contact regarding food and set-ups for Welcomes and Farewells of parish clergy, anniversaries, funerals. The Widows group at St John’s is a social group of women who gather for lunch once a month and share stories, experiences and friendship. A few day trips are also planned. While not a bereavement group, the Widows Group keeps widows involved in the Church activities while socializing with women in the same situation.